Although the actual oil price is lower than the planned price, PVN still exceeds the assigned targets. Total revenue of the Group in 2 months is estimated at 111.8 trillion VND, 8% higher than the 2-month plan. The Group paid the State Budget an estimated VND 14.4 trillion, exceeding 2.0% of the 2-month plan. 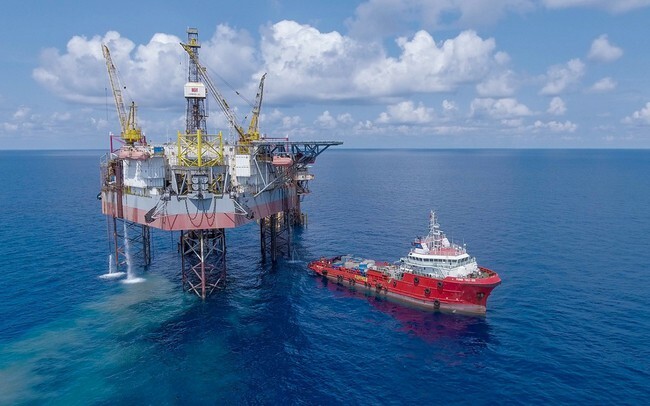 According to Vietnam Oil and Gas Group (PVN), in the first 2 months of the year, most of the main production and business targets of the Group have reached and exceeded the plan. Specifically, the total output of oil exploitation in January reached 2.07 million tons, estimated to reach 1.79 million tons in February; For the first 2 months of the year, it was estimated at 3.85 million tons, 7% higher than the 2-month plan. Oil production in January reached 1.14 million tons, estimated in February reached 1.05 million tons; For the first 2 months of the year, it was estimated at 2.19 million tons, exceeding 5% of the 2-month plan and equaling 69% of the first quarter plan. In which, the domestic oil exploitation in 2 months was estimated at 1.85 million tons, surpassing 5.1% of the 2-month plan; Offshore oil exploitation reached 0.34 million tons, exceeding 4.5% of the 2-month plan. Gas output in January reached 0.93 billion m3, estimated to reach 0.73 billion m3 in February; Generally for the first 2 months of the year, it was estimated at 1.66 billion m3, exceeding the plan by 9.7% for 2 months. Electricity production in January reached 1.91 billion kWh, estimated to reach 1.36 billion kWh in February; For the first 2 months of the year, it was estimated at 3.27 billion kWh, exceeding 4.2% of the 2-month plan. Nitrogen production in January reached 147.4 thousand tons, exceeding 7.7% of the month plan, estimated in February reached 132.6 thousand tons; Generally for the first 2 months, it was estimated at 280 thousand tons, exceeding 6.7% of the 2-month plan. Petroleum production in the whole Group in January reached 1.15 million tons, estimated in February reached 1.02 million tons; For the first 2 months of the year, it was estimated at 2.17 million tons, exceeding 7.2% of the 2-month plan (of which, the Dung Quat oil refinery plant in 2 months was estimated at 1.03 million tons, exceeding 11% of the plan 2 month, from Nghi Son Refinery and Petrochemical Plant is estimated at 1.06 million tons, exceeding 6.5% of the 2-month plan, from PVOIL is estimated at 73.6 thousand tons, equal to 73% of the plan of 2 months. Regarding the financial indicators, although the actual oil price is lower than the planned price, the Group still exceeded the assigned targets. Total revenue of the Group in 2 months is estimated at 111.8 trillion VND, 8% higher than the 2-month plan. The Group paid the State Budget an estimated VND 14.4 trillion, exceeding 2.0% of the 2-month plan. Immediately after the Lunar New Year holiday, the leaders of the Group have worked with the units / projects, especially the difficult projects / units (Thai Binh 2 Thermal Power Plant, DMC ...) to listen to the ideas and promptly remove problems for projects / units.